There are many ways to say 'hello' and introduce yourself in Spanish. As with English, some expressions are best used in formal situations and others are more casual in tone. Can you distinguish between the formal and informal Spanish introductions below? Which Spanish introductions do you think are used by children and teens? 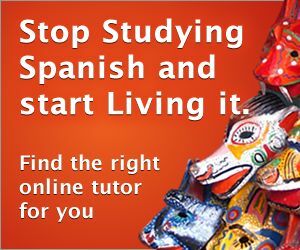 Which Spanish introductions are used by adults and professionals? ¿Cómo te va? - How's it going? ¿Qué pasa? - What's up? ¿Qué tal? - How ya doing? ¿Cómo está? - How are you? Spanish has an formal way of speaking (Usted) and informal way of speaking (Tú and Vos). It is often difficult for students of Spanish to understand which situations require the use of Usted, and which situations require the use of Tú or Vos. Below, we present a few simple rules. Now, let's look at how the informal and formal are used in everyday Spanish with the phrase: How are you? * commonly used in Uruguay, Argentina, most of Central America, and others. Vos sos mi mejor amigo! Aarón: ¡Hola! Me llamo Aarón. Hello! My name is Aarón. Katy: ¡Hola!, ¿qué tal? Yo me llamo Katty. Hello! How are you? My name is Katty. Aarón: Mucho gusto Katty. ¿Eres nueva en la clase? Nice to meet you Katty. Are you new in the class? Katy: Sí, es mi primer día. Yes, it's my first day. Aarón: ¡Bienvenida a la clase! ¡Encantado de conocerte! Welcome to class! Nice to meet you! Katy: El placer es mío.